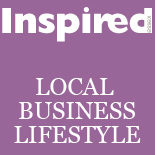 Remember we told you about Sue Thomason in February’s Inspired? Well, she’s only gone and published her book. Sue introduced me to her ideas and the Food Philosophy in 2006 and I was blown away. I’ve been telling her she NEEDS to write this book since I met her, and she’s been trying to; as well as coaching women in stopping overeating, setting up Beautiful Magazine, blogging for Huffington Post, talking to Woman’s Hour and getting involved with the cross-party Parliamentary debate on body image. If you read her book, you will breathe a big fat sigh of relief. You’ll actually realise why it is that you have so much trouble sticking to a diet, why when you decide to ‘cut down’ or ‘eat healthy’ all you can think about is whatever foods you’ve told yourself you will be limiting or banning. What drives you to overeat when being fat is such a misery? it’s NOT comfort eating, stress or a lack of willpower. it’s your biology. Sue explains why, it happens, why dieting makes it worse, why health experts are fighting the obesity epidemic in completely the wrong way, and why it’s making us all fatter! Then – here comes the bit you’ll really love – she tells you how you can STOP overeating, make food a pleasure again and not a compulsion, and learn to focus on other things, making any regular compulsive eating, bingeing or overeating a thing of the past. There is NO diet involved. There are no complicated exercises to do. You won’t have to talk about your childhood. You can carry on eating chocolate if you want to. You don’t have to ‘tune in’ or develop an ‘inner guru’ or follow 12 steps. 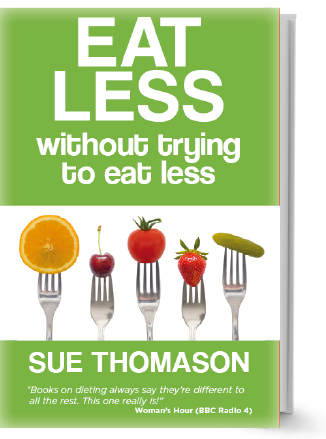 You’ll be hooked by this book, and if you’re an on-off dieter, compulsive eater, or just always feel like you could do with losing a few pounds or ‘eating healthy’ it could quite possibly change your life. PS: I should add, I’m not on commission! This entry was posted on February 29, 2012 by inspiredessex in Chatty, Inspirational People, Reviews and tagged Chelmsford Magazine, sue thomason.